A compendium of Windows Azure, Service Bus, EAI & EDI, Access Control, Connect, SQL Azure Database, and other cloud-computing articles. • Updated 10/2/2012 12:00 PM PDT with new articles marked •. This sample provides a more easy-to-use wrapper over the HadoopOnAzure REST API. Originally developed by Brad Sarsfield and available on GitHub, the original HadoopOnAzure REST API allows to programmatically submit a MapReduce or Hive job through a Web service. enough, it is not limited to SSIS and is compatible with a large amount of project types. Beyond somehow simplifying the usage, the new library also adds new features such as the possibility to run PIG and SQOOP scripts on Hadoop. In order to simplify interactions with the user, the sample allows running commands with a minimum amount of code as illustrated hereafter. 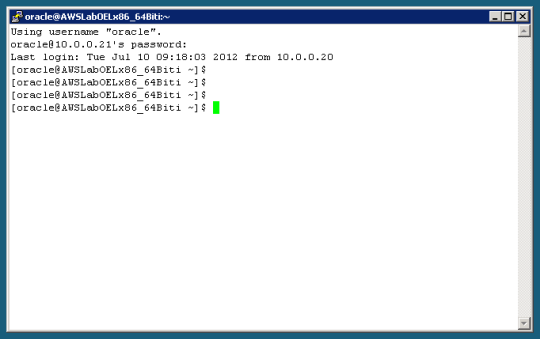 Substitute in the above code your actual Hadoop Cluster name for yourcluster. One of the biggest knocks that critics like to sling against Windows Phone is that there aren't enough apps available when compared to Apple and Android. Well, a new deal between chip maker AMD and software developer BlueStacks will ensure that the same cannot be said for Windows 8. The two companies have agreed to work together on bringing around 500,000 Android apps to Microsoft's upcoming operating system for PCs and tablets using AMD's AppZone Player. By updating code in their processors and graphics chips, AMD has made it possible for apps designed for mobiles devices to look good on the larger displays of PCs and tablets. They hope that this will lure consumers to AMD-powered devices, rather than those running Intel chips. "This helps AMD leapfrog Intel by making Windows 8 more attractive on their tablets and PCs," BlueStacks CEO Rosen Sharma told Wired. "We've worked closely together to optimise the performance of the apps for AMD's unique 'graphics and computing on one chip' setup. The result is awesome -- mobile apps run beautifully on their machines." Apps that run in AppZone will also allow users to save information between devices. So if you are playing a game on your PC, you can pick up where you last saved on your mobile device. All AMD-powered Windows 8 devices will come with the AppZone player pre-installed. And if that weren't good enough, consumers who currently have a Windows 7 device with an AMD processor under the hood can run AppZone player now. This is a brilliant move on AMD's part to capitalize on Windows 8 before it's even released and could be a huge lift for Microsoft as well. If only we could magically bring all those apps over to the Windows Phone Store. SHAZAM! It’s much more likely that these apps will be for Windows Store apps running under WindowsRT than Windows 8 Desktop. It had to increase customer satisfaction. We work hard to have happy customers. It’s another thing that’s part of our DNA. Allocated seating had to really make a difference to the passenger experience. Many people said that they wanted it but, once we gave it to them, would it really make the difference they thought? It had to work operationally. easyJet operates one of the quickest turn-around times in the industry. If boarding passengers into allocated seats was seen to have a negative effect on our On Time Performance (OTP) it would not have been considered viable. It had to work commercially. Allocated seating had to prove itself a commercial success as a revenue generating product. This highlights the fact that such a move was a calculated risk. We were not sure it would work but it required significant change and investment to find out. One of the major changes was to our reservation system. Our home-grown reservation system did not support allocated seating. The primary advantage of maintaining a bespoke system is that it can be tailored to your exact business needs. No extraneous functionality cluttering up the works. It does, on the other hand, support bookings from around 58 million passengers a year and take over £4 billion in revenue. Changing the beating heart of our enterprise, our various sales channels like easyJet.com and our operational systems to support allocated seating was no small undertaking, quite apart from the changes to our operational processes. Making those changes to support a trial, an experiment? That called for a quite special approach. Our first decision was that we definitely did not want to have to conduct open-heart surgery on our reservation system to add this functionality. The I/O load from selling 58 million non-specific seats a year is already a veritable fire-hose. Scaling and refactoring to support the tracking and locking of over 58 million specific seats on a system that can book up to 1500 seats a minute would be a huge project. Would it be possible, we wondered, to buy “seat-allocation-as-a-service” (SaaaS?) from a third party? Get someone else to do the heavy lifting of tracking the availability of every single seat we have on sale while we just stored the output, a few bytes that represented the selections made for the seats we have actually sold? Apparently not. However the idea of a separate “seat-allocation-as-a-service” solution attached via a very light-weight integration was too attractive to let go so we decided to build our own. …all this is done in the cloud. Even the interactive UI that displays the graphical map of the aircraft is served from Azure and injected into the booking pages on easyJet.com. The ingenious work to achieve this using JSONP, Ajax and Knockout.js (amongst other things) is a tribute to the fantastic development team at easyJet and may be the subject of a subsequent blog post. The overall approach however has allowed us to implement an incredibly significant change to the way we operate and sell our flights and deliver it at massive scale without needing to implement much more than small refactorings in our core operational and retail systems. The low cost and massive scale of Azure has made the whole notion of experimenting with something so fundamental an achievable reality. This calculated risk has become a bet we can much more easily afford to make. Most importantly it has massively reduced the cost of failure. We had to conduct a thorough trial. We couldn’t be sure that it would work. Whether it worked or not was primarily a business decision rather than a technical one. Now that it has been successful we have delivered a solution that works technically, works operationally, works commercially, improves customer experience and transformed our enterprise. However, if it had not worked and we had needed to turn it all off and walk away, we could have done so without having incurred huge risk, technical debt or cost. Suppose you need to perform a mathematical calculation. For example, suppose you need to know the sine of 34°. What do you do? You probably turn to a calculator, computer or some other smart device. On your device, you type in “sin(34)” and you get an answer, often with 16 decimal digits of precision. But how do you know your answer is correct? We’re so accustomed to getting mathematical answers from our electronic gizmos that nobody thinks about whether the answers are correct! Just about everybody takes it for granted that our machines give us the right answers. However, for a small set of software quality engineers, correctness can’t be taken for granted; the job is all about getting the right answer. This article explains how the math functions in the new Microsoft Cloud Numerics math library are tested. Most scientific and engineering computations use floating-point arithmetic. The IEEE standardized the basic workings of floating-point math in 1985. A key feature of the standard is that it acknowledges not all numbers can be represented on a computer. While the set of real numbers is infinite and uncountable, the set of IEEE floating-point numbers is necessarily finite and countable because the numeric representation of floating-point numbers uses a fixed number of bits. The construction of IEEE floating-point numbers implies that they’re also rational, so commonly used numbers such as π aren’t expressed exactly, and operations using them, such as sin(x), aren’t exact, either. Moreover, unlike with integers, the spacing between IEEE floating-point numbers is locally uniform, but it increases logarithmically with the magnitude of the number itself. This logarithmic aspect is depicted in Figure 1, which shows schematically the locations of uniform chunks of IEEE floating-point numbers on the real number line. In the figure, valid chunks of floating-point numbers (embedded in the real number line) are indicated by vertical lines. Note that the distance between valid floating-point numbers increases logarithmically as the magnitude of x increases. The distance between two adjacent floating-point numbers is often called the Unit of Least Precision or Unit in Last Place (ULP), and is provided as a built-in function called eps(x) in many common math programs. A consequence of the variation in spacing is that a small number close to 0 has no effect when added to a relatively larger number such as 1. In this article I’ll show how to implement the Open Data Protocol (OData) with the Entity Framework exposed with Windows Communication Foundation (WCF) RESTful services and secured with the Windows Azure Access Control Service (ACS). Like most developers, I often find myself trying to leverage a combination of technologies in new and various ways to complete my project as efficiently as possible while also providing a flexible, easy-to-maintain solution. This can be difficult, particularly when the project requires data to be exposed quickly and securely. 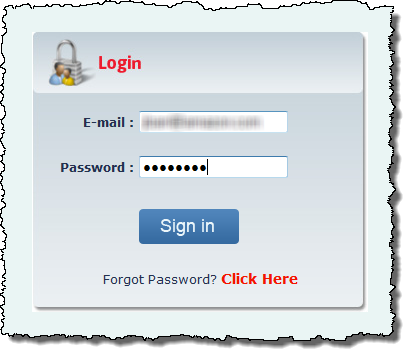 Recently I was asked to create a secure Web service for an existing database and Web application. I really didn’t want to implement all of the create, read, update and delete (CRUD) code. It was tempting to just create custom service contracts, operation contracts and data contracts that would drive exactly how the data could be exposed and how someone else could potentially consume this data via services. But I knew there had to be a more advantageous route to take. I started researching various ways that this could be accomplished and saw potential with OData (or “Ohhhh Data,” as I like to call it). The problem was that OData by itself was not secured in a way that I felt was acceptable, and I needed to add an additional layer of security on top of the OData service in order to feel confident it would be secured properly. As I started to piece this together, I found ACS, which is great for implementing a cloud-based federated authentication and authorization service—exactly what I needed. Then I had my “aha!” moment. I realized that if I wired up ACS with OData, I’d have my solution. Now, I did consider implementing custom service contracts, and there is a place for this approach, especially where a layer of abstrac­tion is needed in front of a data model and where it’s required to protect the database entities from being directly exposed to consumers of a service. However, given how time-consuming this is—creating the appropriate document regarding how to consume the service, and adding in the additional effort required to set up the security (“MessageCredential” and “TransportWithMessageCredentials”)—the project could quickly spiral of control. I was also concerned that additional methods would be needed or requested for one reason or another to support how the services were being consumed, which, again, would add more time, maintenance and customization. Even if my implementation of the service used the Entity Framework versus ADO.NET directly, creating all of the CRUD code might still be required to keep the data layer in sync. Assuming there are a few dozen tables, this effort could be extremely tedious. Plus, creating and maintaining any additional documentation and implementation details required for end users to consume my service made this a much more complicated proposition to manage. Once I had identified the primary technologies, I looked for others to fill gaps and help build a cohesive solution. The goal was to limit the amount of code that needed to be written or maintained while securely exposing my OData WCF RESTful services. The technologies I linked together are: ACS, OData, Entity Data Models, WCF Data Services with Entity permissions and a custom Windows Azure security implementation. Each of these technologies already provides significant value on its own, but when combined, their value increases exponentially. Figure 1 demonstrates a high-level overview of how some of these technologies will work when implemented. Before I tried to combine all of these technologies, I had to take a step back and really understand each one and how they could impact this project. I then gained a good perspective on how to combine them all and what would be required from someone else using other technologies to consume my services. 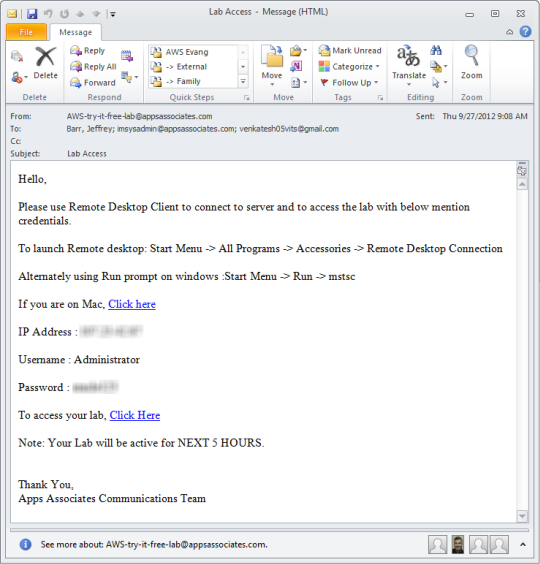 ACS is provided as a component of the Windows Azure platform. ACS allows me to set up my own cloud-based federated authentication and authorization provider that I use to secure my OData WCF services, but ACS can also be used for securing any app. ACS is a cloud-based service that helps bridge the security gap when there’s a need to implement single sign-on (SSO) in multiple applications, services or products—either cross-platform or cross-domain—supporting various SSO implementations. 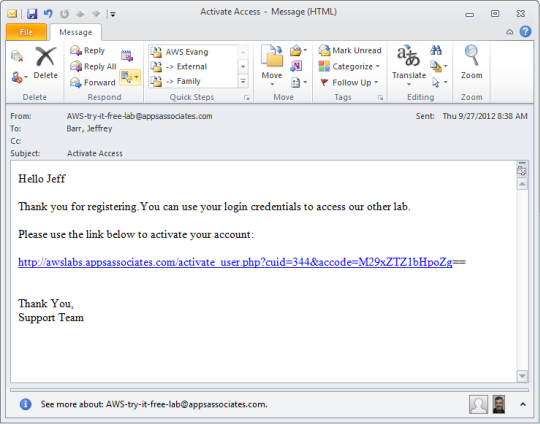 A Windows Azure account provides access to much more information. You can sign up for a free trial at windowsazure.com. To read more about ACS, see bit.ly/zLpIbw. What Is OData and Why Would I Use It? OData is a Web-based protocol for querying and updating data, and exposing the data using a standardized syntax. OData leverages technologies such as HTTP, XML, JSON and the Atom Publishing Protocol to provide access to data differently. Implementing OData with the Entity Framework and WCF Data Services provides many great benefits. I started to wonder why I would use this versus custom WCF contracts. The answer was straightforward. The most practical reason was to leverage service documentation that’s already available and use a standardized syntax supporting how to access data from my service. Having written dozens of services, it seems that I always need to add an additional method as a result of providing custom services. And consumers of custom services tend to ask for more and more features. The WCF Data Services team continues to work towards shoring-up support for the OData v3 spec, especially on a simplified JSON format. In-the-box support for $format and $callback. This is great news for JSON-P folks. Both a NuGet package and a standalone installer. For the full list of new functionality in this preview release, see Mark’s post WCF Data Service 5.1.0-rc2 Released. Since nearly the beginning, the OData team has hosted a sample, read-only Northwind feed—exposing the venerable Northwind database to the Web as OData. Now, there is a new read-only sample feed….Derrick VanArnam has published a portion of the (massive) AdventureWorks schema as OData. You can read more about how this sample project was planned and executed on Derrick’s blog Customer Feedback SQL Server Samples, starting with the post AdventureWorks2012 OData service sample – Introduction. The old notion that luck favors the prepared is meant to convey the idea that no matter how lucky you are, you need to be prepared in order to capitalize on the lucky occurrence. I’ve often thought this statement describes caching pretty accurately. If you’re lucky enough for the universe to align in such a way as to drive high use of your site and services, you’d better be prepared to serve the content quickly. Back in January I covered some concepts related to caching that focused rather tactically on some coding approaches (msdn.microsoft.com/magazine/hh708748). With the addition of the dedicated and co-located roles for caching in the Windows Azure Caching (Preview), which I’ll refer to here as simply Caching Preview, I felt it would be useful to consider how to use these roles as part of the overall solution architecture. This won’t be an exhaustive coverage of caching features; instead, it’s intended to be a designer’s view of what to do with the big blocks. … is not the same. Sure, the back-end implementation is pretty similar and, like its forerunner Windows Azure Shared Caching, Caching Preview will move the data you fetch into the local cache client. More important, though, Caching Preview introduces some capabilities missing from the Shared Cache, so switching to role-based caching not only expands the available feature set, it also gives you better control over the deployment architecture. To start, let’s clarify the primary difference between the dedicated and co-located roles: configuration. Often the first thought is to simply choose some medium or small size and allocate some amount of memory. As long as the amount of memory allocated is sufficient for its intended use and within the boundary of the available RAM, this is a fine approach. However, if the number of objects is high and there’s a reasonable expectation that the cache client on each machine might be holding its maximum number of objects, the result could be unexpected memory pressure. Moreover, too little cache RAM could lead to unwanted cache evictions, reducing the overall effectiveness of the cache. Figure 2 shows the percentage of RAM use based on virtual machine (VM) size. The chart is based on the one at msdn.microsoft.com/­library/hh914152, which shows the amount of RAM available for caching in dedicated mode. In my co-located grid (Figure 1), I didn’t go beyond 40 percent allocation for the co-located type because I assumed I’d need a majority of the RAM for the application. In comparison, the dedicated version usually provides more RAM, but appears to hit maximum efficiency of RAM allocation at the large VM size. In that sense, two medium VMs are less useful than one large. Of course, one large instance can’t help with options such as high availability (HA), which duplicates your data, that you might want in your caching infrastructure. Still, it’s worth weighing the needs of space against the need for redundancy and choosing a configuration that not only meets technical needs, but also optimizes cost. 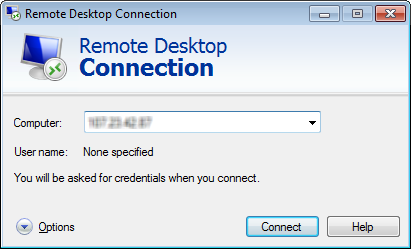 In my previous blog I had talked about how to create a SharePoint Foundation VM on Windows Azure as standalone server. That was pretty easy and simple stuff. I also tried doing the same in cloudshare and that was pretty neat and impressive. I am also thinking about comparing cloudshare with Azure from price point of view but that I am keeping it for some other post. As a sequel to my previous blog post, here I am going to talk about what it takes for an organization to build a sharePoint Farm which will be nothing but an extension to their corporate network. There are plenty of great "how to" articles available but my effort over here is to consolidate and put in one place all that you need to know if you are considering going this route. As a part of Windows Azure's cross premise connectivity, Microsoft has come up with something call Windows Azure Virtual Network which is currently in preview stage and provides secure private IPv4 network which enables an organization to extend their enterprise network to Windows Azure securely over S2S VPN. With Azure Virtual Network lot of new scenarios can be enabled like hybrid apps that span across cloud and their premise, Enterprise Identity and Access Control etc. Now coming back to the topic of what are the steps one need to take to have a SharePoint farm work as extension to corporate network. Other than that there are other issues to that we need to be thinking about like how to configure load balancing for WFEs and how to implement high availability for SQL Server. One point to notice here is that the endpoints are opened at the loadbalancer level, so even if we have one VM but that is also placed behind the load balancer, this makes the configuration of adding VMs to loadbalancer all that more simpler. Install SharePoint on the VM. And that's it we are done!!! Thats pretty Simple...No? Another concern people have is how can we setup high availability on SQL Server VMs on Windows Azure because Windows Azure doesn't allow SQL Server Clustering. So here we have two options either to go with SQL Server mirroring or Log shipping. For Automatic failover we can configure the SQL Server mirroring with witness which will have one primary server, secondary server and witness server. One important thing to remember is that don't forget to add the WFEs and your SQL Servers (all three Principal,Mirro and Witness) on the their own availability set so that when Microsoft updates its OS, it won't take down all the server. Need to set up a powerful wiki quickly? Looking for an open source bulletin board solution for your Windows Azure Web Site? Today, we are announcing the availability of MediaWiki and phpBB in the Windows Azure Web Applications gallery. MediaWiki is the open source software that powers WikiPedia and other large-scale wiki projects, and phpBB is the most widely used open source bulletin board system in the world. You can deploy a free Windows Azure Web Site running MediaWiki or phpBB with just a few mouse clicks. Sign up for the free trial if you don’t already have a Windows Azure subscription, and then select the option to create a new web site from the gallery. Fill in the required fields, click the Next button, and you’ll soon have a running ready-to-use web site that is hosting your selected application. The Windows Web App Gallery also includes MediaWiki and phpBB, so you can deploy either of them on-premises as well. See the MediaWiki and phpBB entries in the gallery. The MediaWiki project now includes the Windows Azure Storage extensions that allow you to story media files on Windows Azure. You can use this functionality for MediaWiki sites deploy to Windows Azure Web Sites, or for other deployments as well. More information can be found on the MediaWiki wiki. A big thanks to everyone who helped to make MediaWiki and phpBB work so well on Windows Azure! Markus Glazer, volunteer developer at Wikimedia Foundation, submitted the MediaWiki package to the Windows Azure Web Sites Gallery and integrated MediaWiki with Windows Azure Storage. Nils Adermann from the phpBB community submitted the updated phpBB 3.0.11 package to the Windows Azure Web Sites Gallery with the necessary changes for integration with Windows Azure. The addition of phpBB and MediaWiki is a great example of Windows Azure’s support for open source software applications, frameworks, and tools. We’re continuing to work with these and other communities to make Windows Azure a great place to host open source applications. What other open source technologies would you like to be able to use on Windows Azure? I've been researching how to troubleshoot Node.js applications hosted on Windows Azure recently, and while I'm don't have a complete story yet I wanted to share what I do have. So here's a brain dump of diagnostics information that Node.js developers might find useful. Also, don't be depressed/upset about some of the problems I call out with things like logging on Cloud Services. We know that we need to improve this story. The Windows Azure developers are working on it, but if you have thoughts on how we can improve troubleshooting for Node.js applications on Windows Azure, let me know. Unfortunately the troubleshooting story is different between Web Sites and Cloud Services. Even within Cloud Services, there's a big difference between what's available for applications hosted in a Web Role vs. a Worker Role. In general, everything I mention in this post about Cloud Services is for Cloud Services implemented using a Web Role. The reason for this is that Node.js applications hosted as a Web Site or a Cloud Service in a Web Role use the IISNode module, which provides some nice troubleshooting functionality. Applications hosted in a Cloud Service Worker Role are just raw Node.exe talking to the wire. This doesn't mean that you should never use Worker Roles, just that if you do use one and need to troubleshoot your application that you'll have to fall back on standard works-for-every-node-application troubleshooting steps. Since most of the troubleshooting functionality is implemented through IISNode, it's important to understand how it works. Basically, IISNode is a layer that sits between IIS and Node.exe, and routes requests that arrive at IIS to Node.exe. This lets IIS handle things like spinning up multiple node instances (1 per core by default) and lifecycle management tasks. IISNode has a bunch of configuration options, which can be controlled by adding an iisnode.yml file to the root of your application. A full listing of switches can be found at https://github.com/tjanczuk/iisnode/blob/master/src/samples/configuration/iisnode.yml. IISNode can capture stdout/stderr streams and save them to a log file. This is currently enabled by default for Windows Azure Web Sites and Cloud Service Web Roles. By default, the logs are stored in a subdirectory named iisnode. If you want to disable logging, you can create an iisnode.yml file and add loggingEnabled: false to it. For Windows Azure Web Sites, the log files can be pulled down by visiting the FTP link for your web site, or by using the Command-line tools command of azure site log download command. The download command will pull down a Zip archive containing not only the IISNode logs, but any other logging you may have enabled in the portal. Windows Azure Web Sites have one other nice feature; the logs from all instances of your web site are aggregated, so there's just the one directory containing logs of the stdout/stderr output for all instances of the application. The story for Windows Azure Cloud Services isn't as good currently. The log files are stored into the iisnode subdirectory, but there's no centralized aggregation of the log files and there's no functionality to easily get to them. 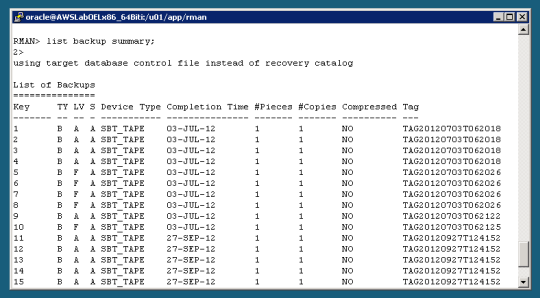 The logs are stored on a per role instance basis, and you need to either remotely connect to each instance to retrieve them or set up a process that periodically copies them off the instance. If you read through the iisnode.yml example linked above, you may be thinking "But I can just access the log files via HTTP, why do I have to remote into the instances or download the logs?" Well, this functionality is disabled for Web Sites and Cloud Services by default. You can make it work by modifying the IIS URL Rewrite rules in the web.config for your application, however consider this; how useful is it to enable HTTP access to the logs when you can't easily determine which hosting instance you'll connect to? For example, if you're hosting the application on a Cloud Service you might have it scaled out to 2 instances. Those are load balanced behind the virtual IP assigned to the service, so hitting that URL is going to take you to one of the instances, but you can't really direct it to one or the other. So for a production, scaled out application, HTTP logs are sort of not that useful. It's far more useful to have some sort of centralized aggregation of the logs, such as that done by Windows Azure Web Sites. Ever browsed your application after deploying it and received an HTTP 500 response? Not very helpful. When development errors are enabled, you'll get an HTTP 200 response instead, along with the last few lines of information sent to stderr. Development errors can be controlled by adding devErrorsEnabled: true or false to your iisnode.yml file. Currently the default seems to be true. For a production application, I'd recommend disabling this setting, as most end users don't want to see your code's error spew and would appreciate a custom friendly error instead. IISNode isn't the only thing available in Windows Azure that can help diagnose problems; since IISNode runs under IIS, and on Windows, there are additional logs for those pieces of the infrastructure that can be enabled in the diagnostics section of the CONFIGURATION settings for your Web Site or Cloud Service. For more information on working with these settings and the information logged by them, see How to Monitor Cloud Services and How to Monitor Web Sites. I hope the above information is useful to those of you hosting Node.js applications on Windows Azure, and if you have any additional diagnostic/troubleshooting tips you'd like to share feel free to send them my way. Last week I had the pleasure of travelling to Stockholm, Sweden to speak at a great community-run conference, CloudBurst 2012 (as well as a few other events, which will be covered in a future post very very soon). I decided to release a new Windows Azure code sample at the conference, and to use the opportunity to walk through the architecture and implementation of the sample with the participants. As promised during that event, this is the blog post discussing the CloudMonitR sample, which you can obtain either as a ZIP file download from the MSDN Code Gallery or directly from its GitHub.com repository. Below, you’ll see a screen shot of CloudMonitR in action, charting and tracing away on a running Windows Azure Worker Role. The architecture of the CloudMonitR sample is similar to a previous sample I recently blogged about, the SiteMonitR sample. Both samples demonstrate how SignalR can be used to connect Windows Azure Cloud Services to web sites (and back again), and both sites use Twitter Bootstrap on the client to make the GUI simple to develop and customizable via CSS. The point of CloudMonitR, however, is to allow for simplistic performance analysis of single- or multiple-instance Cloud Services. The slide below is from the CloudBurst presentation deck, and shows a very high-level overview of the architecture. The CloudMonitR solution is also available as a pair of NuGet packages. The first of these packages, the simply-named CloudMonitR package, is the one you’d want to pull down to reference from a Web or Worker Role for which you need the metrics and trace reporting functionality. Referencing this package will give you everything you need to start reporting the performance counter and tracing data from within your Roles. TypeScript sounds interesting. Anders is on it, so that’s a big plus. It’s a “superset” & “syntactic sugar” which is also interesting. TypeScript is a lousy name. I wish MS could find people to name things with something entertaining. It just seems disconnected. After a little bit more review and an explosion on twitter I came to a few other conclusions. The whole large applications notion just doesn’t cut it for me. Writing big applications well is about a good team, not about your language taking up the slack of a bad team. I get that this makes things easier in Visual Studio and other IDEs to do certain “easy button” and F5 type development for coders that use those tools. There’s big plusses and really big negatives to this. A huge cool factor too, are the tons of plugins available already. There’s a tutorial, which I plundered through real quick at lunch amid the plethora of pictures I took. Working through this tutorial I found the thing I’m happiest about, more so than the plugins, is that there is indeed an npm package (npm install -g typescript). Remember when installing, you’ll probably need to do a sudo. In the end, I’m fine with TypeScript. I think Anders & team have put this together in a responsible, positive way and inclusive of prospective community feedback and interaction. After so many years of the opposite, I’m still always impressed when things are done in good faith with the community. Do I think they need to work on how they put these efforts together? Yes. Do I think the approach of bombing the community with this new thing with a whole pre-built MS community around it pre-existing? Yes. But I digress, overall all looks good, and nothing truly negative about it (unless one is personally perturbed). So I’d suggest to try it out, it can definitely make things easier in a number of ways. I might even have some examples cropped up over the next few days. Microsoft's official site for TypeScript is http://www.typescriptlang.org/. What are your initial thoughts on what the Softies are doing, any of you developer-readers out there? Update: In spite of the Somasegar quote above regarding the Windows Store -- if you still were unsure whether you can build Windows Store apps for Windows 8 and Windows RT using TypeScript, the answer is yes. TypeScript therefore lets you use features including type annotations, classes, modules and interfaces to make large projects more robust and maintainable. There is tooling for Visual Studio including a language service to provide code hinting, syntax highlighting and the like. More information from Microsoft’s S Somasegar here. At Microsoft Open Technologies, Inc. we are thrilled that the discussion is now open with the community on the language specification: you can play (or even better start developing with TypeScript) with the bits, read the specification and provide your feedback on the discussion forum. We also wanted to make it possible for developers to use their favorite editor to write TypeScript code, in addition to the TypeScript online playground and the Visual Studio plugin. Below you will find sample syntax files for Sublime Text, Vi and Emacs that will add syntax highlighting to the files with a .ts extension. We want to hear from you on where you think we should post these files for you to be able to optimize them and help us make your TypeScript programming an even greater experience, so please comment on this post or send us a message. Xignite, Inc., the leading market data cloud solutions provider, and Appleton Group Wealth Management, LLC, today announced that they have partnered with each other, Skyline Technologies, and Microsoft (MSFT) Windows Azure/Windows 8 to develop clearTREND™, a new mobile investment research app that helps manage investment portfolios. clearTREND is the first investment trend calculator publicly available. It solves a fundamental problem in investing by accurately calculating past price trends for any security, then generating real-time buy and sell recommendations. clearTREND is web‐based and built for use on any computer (both Windows and Apple‐based), as well as Windows 8 tablets. With 10 patents pending, clearTREND is an innovation in its field because it uses crowdsourcing to analyze changing price trends, as well as generate real‐time buy and sell recommendations at optimal points in time. clearTREND is powered by XigniteGlobalHistorical and XigniteIndices services. It also uses Microsoft’s cloud‐based computing service Windows Azure. With an analytical technique called ‘Simple Moving Average Crossover,’ the app measures historic price trends for over 60,000 investable securities. clearTREND leverages optimization technology to continuously hunt for new price trends that may be more advantageous for the user to follow. For information on features, benefits, pricing and availability, please go to: http://www.cleartrendresearch.com/?page_id=2072. Xignite is the leading provider of market data cloud solutions. The Xignite Market Data Cloud fulfills more than 5 billion requests per month and offers more than 50 financial web services APIs providing real-time, historical, and reference data across all asset classes. Xignite APIs power mobile financial applications, websites, and front-, middle- and back-office functions for more than 1000 clients worldwide, including Wells Fargo, GE, Computershare, BNY Mellon, Natixis, Forbes.com, SeekingAlpha, ExxonMobil, Starbucks, and Barrick Gold. The company’s award-winning XigniteOnDemand market data cloud platform also powers data distribution solutions for exchanges and data vendors, as well as Enterprise Data Distribution (EDD) solutions for financial institutions. Companies using XigniteOnDemand for market data distribution include the CME Group, NASDAQ OMX, NYSE Euronext and Direct Edge. Appleton Group Wealth Management LLC is an independent Registered Investment Advisor (RIA), offering objective and unbiased wealth management services to all investment management clients. The firm is compensated solely for the advisory services it provides to its clients, and is in no way compensated by commissions of any kind. As a small privately held firm, Appleton Group is solely focused on providing investment advisory and management services and helping the investment community build and manage more consistent and profitable portfolios. The one software design pattern that I have used in just about every application I’ve written is “cut-and-paste,” so the new “Sample Browser” – read sample as a noun not an adjective – is a great boon to my productivity. Provided by the Microsoft All-in-One Code Framework in conjunction with the Visual Studio Team and the MSDN Samples Gallery, this Visual Studio plug-in provides the ability to search and install over 3500 code samples all without leaving your favorite IDE (either the 2010 or 2012 version). Once you’ve installed the extension (if you’re running Visual Studio Express you can use the standalone version), you’ll be able to browse samples by category (HTML 5, Windows 8, Windows Azure, etc. ), search by term or description, and even put in a request to have a sample built by Microsoft engineers if there is a gap in the current offerings. The really cool feature, in my opinion, is that you can trigger a contextual search in the Visual Studio editor for other samples that might reference a specific method, like OnNavigagedTo as seen to the right. And consider subscribing to the Sample of the Day RSS feed right from the Visual Studio Start screen, it’s a great way to learn something new each day! Installed on VS 2011 and 2012. On October 1, Microsoft announced general availability of its small/mid-size-business-targeted Dynamics NAV 2013 ERP release. Dynamics NAV 2013, which is one of four ERP products offered by Microsoft, was slated to be the first of the four to be hosted on Microsoft's Windows Azure cloud operating system. But it turns out NAV 2013 won't be hosted on Microsoft's cloud right out of the gate, after all. Microsoft's new plan is to make NAV 2013 available on Azure some time in the first quarter of calendar 2013, a spokesperson confirmed. Once it is hosted on Azure, the product still will be sold through NAV 2013 partners, as per Microsoft's original plan, the spokesperson said. There's no date or official commitment as to when/whether Microsoft also might offer NAV 2013 hosted on Azure directly to customers itself, the spokesperson added. Microsoft officials previously committed to making Dynamics GP 2013, which is slated to be generally available in December 2013, its second Azure-hosted ERP offering. It sounds as though Microsoft officials aren't 100 percent sure this will happen, but they are still saying, for now, that the plan is to enable partners to sell an Azure-hosted version of GP 2013 once it is available. Improvements to "hostability" is just one of a number of new features in the NAV 2013 release. The latest release also includes improvements to querying and charting; more granular role-tailored capabilities; increased general-ledger flexibility; integration with Microsoft's SharePoint and OneNote note-taking products; and expanded Web Client/broser support. Microsoft's grand ERP plan is to follow the same model on the ERP side of the house that it's already pursuing on the CRM side of its Dynamics business. This year, Microsoft is rolling out simultaneously on-premises and in the cloud its NAV 2013 release. After this year, future Dynamics ERP releases will be cloud-first. As is the case with Dynamics CRM, Microsoft will be making two major updates a year to its ERP platforms once they're available both on-premises and in the cloud, officials have said. Why is there not larger adoption of cloud computing? A joint survey by the CSA (Cloud Security Alliance) and ISACA (previously known as the Information Systems Audit and Control Association) tries to answer that question. Of course, government regulations and international data privacy rules are on the list of concerns that hurt confidence in cloud computing, the survey shows. However, a lack of innovation and maturity in cloud computing itself are larger concerns, slowing widespread cloud adoption. In fact, 24 percent of respondents said there is little to no innovation in the cloud market. Meanwhile, only 33 percent who say the level of innovation is significant. I've previously pointed out the cloud's problem of "little boxes all the same" due to the lack of innovation in cloud computing, and this survey appears to validate that observation. The perception that cloud computing has both low innovation and low maturity is very scary when you consider just how young the cloud is. The core problem is that most cloud technology providers believe what they do is innovative. To them, that means adopting the strategies of the market leaders, replicating their features and APIs (call for call), and hyping the market. While such a "fast follower" strategy have worked a few years ago, it falls flat today with IT organizations that are much more savvy -- and cautious -- about the cloud. They understand that, for cloud computing to have value, it must bring something new to the table. Lacking those innovations, and thus that value, they understandably take a wait-and-see approach. It's not good for the cloud industry to seem so old and tired at such a young age. Last time we dove into a "Load Balancing 101" discussion we looked at the difference between architected for scale and architected for fail. The question that usually pops up after such a discussion is "why can't I just provision an extra server and use it. If one fails, the other picks up the load"? We call such a model N+1 – where N is the number of servers necessary to handle load plus one extra, just in case. The assumption is that all N+1 servers are active, so no resources are just hanging out idle and wasting money. This is also sometimes referred to as "active-active" when such architectures include a redundant pair of X (firewalls, load balancers, servers, etc… ) because both the primary and backup are active at the same time. So it sounds good, this utilization of all resources and when everything is running rosy it can benefit in terms of improving performance, because utilization remains lower across all N+1 devices. The problem comes when one of those devices fails. In the simplest case of two devices – one acting as backup to the other – everything is just peachy keen until utilization is greater than 50%. Assume we have two servers, each with a maximum capacity of 100 connections. Let's assume clients are generating 150 connections and a load balancing service distributes this evenly, giving each server 75 connections for a utilization rate of 75%. Now let's assume one server fails. The remaining server must try to handle all 150 connections, which puts its utilization at … 150%. Which it cannot handle. Performance degrades, connections time out, and end-users become very, very angry. Which is why, if you consider the resulting impact of performance and downtime on business revenue and productivity, redundancy is considering a best practice for architecting data center networks. N+1 works in the scenario in which only 1 device fails (because the idle one can take over) but the larger the pool of resources, the more likely it is that more than one device will fail at relatively the same time. Making it necessary to take more of an N+"a couple or three spares" approach. Yes, resources stand idle. Wasted. Money down the drain. They're insurance, they always have been, against failure. The cost of downtime and/or performance degradation was considered far greater than the operational and capital costs associated with a secondary, idle device. The ability of a load balancing service to designate a backup server/resource that remains idle is paramount to enabling architectures built to fail. The ability of a load balancing service in the cloud to do this should be considered a basic requirement. In fact, much like leveraging cloud as a secondary "backup" data center for disaster recovery/business continuity strategies, having a "spare" resource waiting to assure availability should be a no-brainer from a cost perspective, given the much lower cost of ownership in the cloud. It's 2am: Do You Know What Algorithm Your Load Balancer is Using? I have written about PCI compliance on several occasions over the past two years. The Payment Card Industry (PCI) Data Security Standard (DSS) is the worldwide information security standard for organizations that handle cardholder information for debit, credit, prepaid, e-purse, ATM and point-of-sale (POS) cards. The sole purpose of these standards is to reduce credit card fraud due to the exposure of the sensitive information contained on the card. This information is printed, encoded in the magnetic stripe, or in some active or passive embedded device (e.g., RFID chip) on the card. This information is necessary to complete the financial transaction, and when stolen can be used to commit that fraud. Based on the volume of such transactions, organizations must have an annual audit by an external Qualified Security Assessor (QSA) or by a Self-Assessment Questionnaire. Each card has a 16-digit number on the front called the PAN (primary account number). If your organization stores, processes or transmits the PAN, then you must be 100% PCI compliant 100% of the time. Failure to be compliant can be expensive, with an average cost to your organization of over $200 per lost record, plus the potential of significant fines and lost good will. Because of the nature of the DSS requirements, I have been counseling organizations subject to PCI compliance to either eliminate their requirement to be PCI compliant, or ignore the Cloud as an opportunity for that processing. It turns out that many companies handle the PAN for no good reason. In many cases, it is because of history: when they started out they were handling the order screens themselves and thus had the PAN at least moving through their systems and therefore were required to be PCI compliant, even though they never actually stored the PAN. Other companies have stored the PAN either to make recurring payments easier for them, or with the really bad idea of using the PAN to identify a customer. Never use any identifier created by a government or financial entity as your internal customer id. It exposes you to far more security risk than you can afford to deal with. Even small companies can accept credit cards for on-line payments with no PCI exposure through companies like PayPal, and several companies (including PayPal) offer credit card readers and software for smart phones that are PCI-DSS compliant. Note that using one of these smart phone credit card payments options does not remove your PCI compliance requirement – you are still handling the PAN. Your employee is holding and can see the card, and the PAN is transmitted through your device. However, unless you are the size of Apple with over 300 stores each averaging 75 employees and doing over US$30M per year, you should be OK with a relatively simple self-assessment questionnaire. Your primary security issues are training your staff on the security requirements and procedures to handle the card, and confirming the certification status of the reader and software you are using with the device vendor(s). Even though I have been preaching that the Cloud is constantly evolving, and what should not go in the Cloud six months ago might be OK today, I was surprised to see a webinar by Phil Cox sponsored by RightScale that talked about being PCI-DSS compliant in the IaaS (Infrastructure as a Service) Public Cloud. Phil is currently the Director, Security and Compliance, at RightScale. He has been on all sides of the PCI compliance issue, with years of experience as a QSA and as a merchant, as a contributor to the PCI virtualization supplement, and as a member of the PCI Cloud SIG (special interest group). Why would you want to go to a Public Cloud in the first place? To save a lot of money, and only pay for what you use. To gain significant agility, the ability to grow or shrink your infrastructure to almost any level in minutes to match your current requirements. To get rid of some of the aggravation of running an IT infrastructure securely and reliably. Often, companies get a significant security boost by moving to the Cloud because most Cloud Service Providers are really good at managing IT – it is their core competency. Importantly, there is no guidance from the PCI Security Standards Council as to how their requirements and controls are to be met and validated in a Cloud environment. Many PCI-DSS experts that I have talked to believe that almost by definition you are not compliant if you are using the Cloud. Yet there is actually no mention of the Cloud in the PCC-DSS. There are many important steps to moving your PCI processing to the Public IaaS Cloud. Here are four to think about initially. A good rule for designing a system involving PCI data is to keep it simple, independent of the environment. The fewer parts, the better. If your cardholder data is scattered in multiple applications on multiple servers in multiple physical locations, you will have a very difficult time proving you are PCI compliant. In general, you want your cardholder data only in one place. When you move to the Cloud, put all of your cardholder data in your Cloud provider, don’t leave any “at home.” Part of achieving simplicity is to completely separate your development and test (dev/test) environment from your production system and include absolutely no real cardholder data in your dev/test environment. This means your dev/test environment is completely outside of the area that needs to be compliant, and you only need to worry about your production system. It also means that your test cardholder data is manufactured, not simply a transformation of some real cardholder data. It must be impossible to recreate any actual data from your test data. Choose your Cloud Service Provider carefully. Ideally, they will be on the “Approved Service Providers” list for one of the major card brands. If they are not listed but have done a Level 2 assessment and will share their Report on Compliance they may be acceptable. Check with your QSA. Alternatively, have them sign a contract that they will protect cardholder data according to the PCI DSS to the extent that it applies to them. Again, let your QSA guide you. Choose your QSA carefully. If they do not understand the Cloud in general and Public Cloud IaaS in particular, they will likely fail you in one of two ways: either by simply saying “no” to the Cloud, or certifying you when you really do not have everything in place to be compliant. Keep your stakeholders informed. Many Cloud implementations fail not because they were badly implemented, but because someone with a title in the organization stopped it. The way to prevent that, or at least determine you are trouble before you have spent a lot of effort, is to get your stakeholders involved early, listen to their concerns, address the issues, and keep the stakeholders informed throughout the journey. At a minimum, your stakeholders are your CEO, CFO, CIO, the head of information security, the person in charge of internal audits, your QSA if you have one, and your legal department. A few years ago I attended a Cloud Symposium sponsored by a major player in the Cloud space. One question from the audience was, “What about Amazon as a Cloud Service Provider?” The Cloud expert on the panel responded with, “Would you trust your business to a bookseller?” That generated a laugh. But, think about it. The Amazon IT infrastructure is designed to routinely handle up to 500,000 transactions per second, and has peaked at close to a million transactions per second. Their 2011 revenue was about the same as eBay plus Google, and more than twice TJX, which includes the TJ Max, Marshalls, and Home Goods in the US. That is essentially the infrastructure you are running on when you use AWS, the Amazon Cloud. Not surprisingly, AWS has achieved PCI DSS Level 1 Compliance. This is the highest level, applying to merchants processing over six million transactions per year. For more information, I suggest you read Phil’s “How I Did It” blog. Compliance, unfortunately, does not equal security. Every year we hear about companies that had just passed their internal or external PCI audit and were still hacked. But companies seem to be getting much better at being secure as well as being compliant. Last year only 4% of organizations that lost PCI-protected information to cybercriminals were certified, down from 21% just two years earlier. We are only considering PCI compliance in this post. Even if you do not handle the PAN and are not responsible for PCI-DSS compliance, you may still have information that subjects you to government privacy and other compliance requirements. No matter how you handle it, security is your responsibility. If something goes wrong, it is your problem to fix, your fines to pay, and your customer relationships that are damaged. Your CSP will likely help to investigate the problem, but the CSP will not take responsibility nor accept any liability. Make sure you and your own security and compliance team are satisfied with your total PCI-DSS compliance status, including your partners. I will be giving a free one-hour Cloud Security webinar as part of the Arrow ECS – IBM Business Partner webinar series at 2PM EDT on Tuesday, 9 October. You may register if interested. On Monday, Amazon added its Relational Database Service (RDS) to its Free Usage Tier, according to the AWS blog. That means new customers can try out MySQL, the Oracle database or Microsoft SQL Server for free. Usage is restricted to a small “MicroDB” instance and one really important caveat is that Oracle database users have to bring their already bought-and-paid-for licence to the table. But the underlying Amazon infrastructure usage is free. More details are here. The timing can’t be a coincidence coming as it does just after Oracle CEO Larry Ellison took to the stage Sunday night to outline the company’s all-Oracle-all-the-time Infrastructure-as-a-Service (IaaS) offering. While Oracle’s cloud targets big existing Oracle shops and AWS is seen as services for lean startups, that perception is simplistic and misleading. 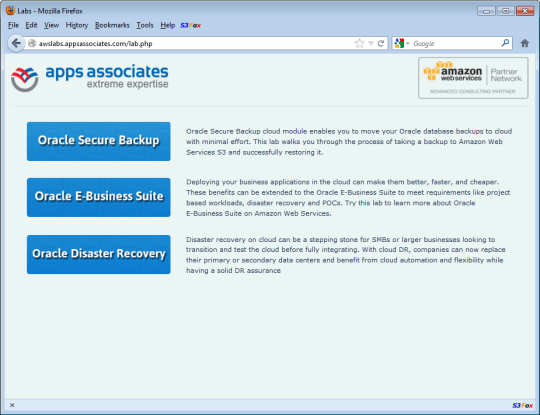 Developers at Oracle shops also use Amazon IaaS services. And Amazon is building enterprise credibility through higher-end services and alliances with such enterprise players as SAP ( a huge Oracle rival, by the way) and integrators like Capgemini. Another factor: Timing and pricing of Oracle’s upcoming cloud services is hazy at best — Ellison said the underlying Oracle 12C database is due sometime next year. 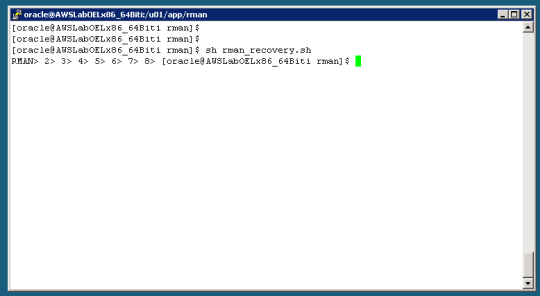 Meanwhile, users can run Oracle database instances on Amazon infrastructure right now. Anyone who doesn’t see Oracle cloud and AWS as potential competitors should look again. See original post for video. In order to help you to get the most from Amazon RDS on Oracle, we'll be hosting a free RDS webinar at 10:00 AM (PT) on October 18th. Attend the webinar to learn how RDS lets you focus on your business by addressing the key pain points that come with Oracle database administration. One of the key advantages that customers and partners are telling us they really appreciate about AWS is its unique ability to cut down the time required to evaluate new software stacks. These "solution appliances" can now be easily deployed on AWS and evaluated by customers in hours or days, rather than in weeks or months, as is the norm with the previous generation of IT infrastructure. With this in mind, AWS has teamed up with leading Oracle ecosystem partners on a new initiative called the Oracle Test Drive program. 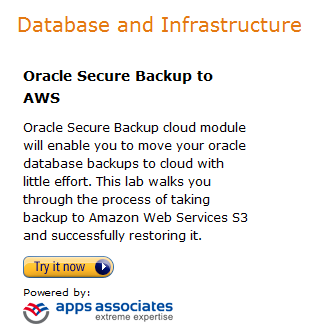 Backing up an Oracle database to Amazon S3. 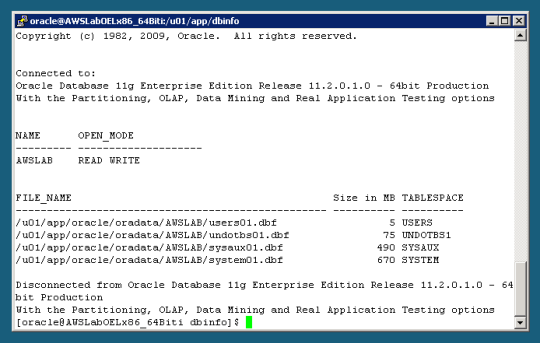 Creating a high available database solution using Oracle Data Guard. Use the business analytics capabilities of Oracle Business Intelligence Enterprise Edition. Evaluate PeopleSoft, E-Business Suite, Siebel, JD-Edwards and Hyperion analytics, human capital management, value chain management and financial management software. While this may sound somewhat intimating to the non-initiated, all of these hands-on labs walk you through the process of logging into your own private AWS instance, and then use the pre-configured Oracle software. The simple step-by-step instructions enable you to experience firsthand the advanced capabilities of Oracle software on AWS at your own speed. The test drive labs are designed to provide you with instant insight into the capabilities and approaches that each of these Oracle solutions provide, and do so in as little as an hour. For some people the cloud is still somewhat ethereal in nature, a non-tangible concept that is not quite concrete yet in their minds. The Oracle Test Drive labs may be able to make the cloud much more tangible, especially for customers that are familiar with the Oracle environment. Each lab includes up to 5 hours of complimentary AWS server time. Get permission from Corporate IT or my manager. 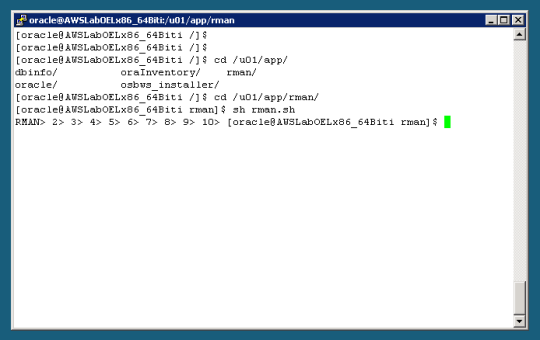 Acquire, install, and configure a server. 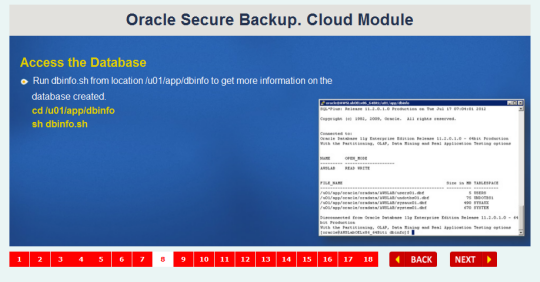 Install and configure Oracle Database 11G or Oracle Secure Backup. I was able to do the entire lab in 90 minutes. This included the time to complete the lab and to write and illustrate this blog post. If I can do it, so can you. This is just one of nearly two dozen labs. Check them out today to learn more about Oracle and AWS, or to improve your skills. The promised Oracle 12c (the “c” stands for cloud) database will be the software foundation and Ellison said this iteration of the database will put multitenancy — the ability to securely keep separate sets of data in one place — at the database level where it belongs. The rough concept is that 12C is a database container that can run separate “pluggable” databases — one for ERP, another for CRM and so on. Update: Nelson wrote back in to clarify his statement: “I should have qualified this a bit to say we wouldn’t run our ‘production’ application on anyone’s cloud. However, the idea of doing pre-release testing and/or disaster recovery on Oracle’s cloud is interesting to us. And of course, we certainly believe Oracle’s technology is fantastic for cloud delivery as we (like salesforce.com) run a complete Oracle database and app server beneath the NetSuite application,” he wrote. In addition, Oracle’s decision to use very high-end specialized hardware to power its cloud flies in the face of conventional wisdom espoused by web giants like Facebook, Google and Amazon that yoke together thousands of commodity servers in webscale data centers. 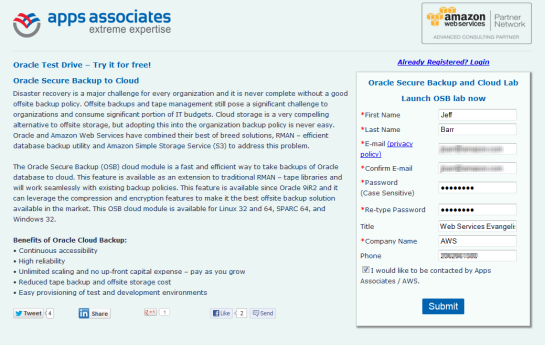 Oracle’s take is definitely scale-up in what appears to be an increasingly scale-out world. If you can’t sell it, rent it. Sounds like the ultimate in pricey lock-in to me. Technorati Tags: Windows Azure,Windows Azure Platform,Windows Azure Cloud Services,Windows Azure Storage Services,Windows Azure Service Bus,Windows Azure Access Control Services,Windows Azure Virtual Machines,Windows Azure Virtual Networks,Windows Azure Active Directory,Windows Azure SQL Database,SQL Database Federations,Windows Azure Mobile Services,Mobile Services,Open Data Protocol,OData,Cloud Computing,Visual Studio LightSwitch,LightSwitch,Amazon Web Services,AWS,TypeScript,Oracle,Dynamics NAV 2013,Google BigQuery,easyJet,CloudMonitR,PCI-DSS,CNAME,Codename "Cloud Numerics"